Sometimes it's great to finally review a beer you haven't had in several years. 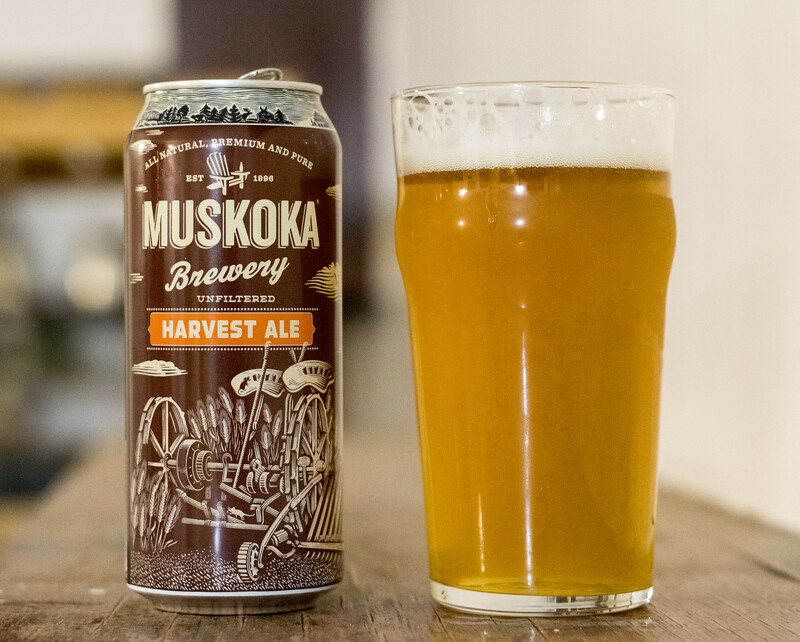 Today, it's Harvest Ale from Muskoka Brewing. I remember drinking this beer back in late 2010, I believe at the time it came in a 750mL swing top bottle. I thought that this was a typical autumn-inspired brown ale, but it's actually an American IPA, one that tops out at 6.7% ABV and 50 IBUs. Appearance: Harvest Ale pours a cloudy, golden straw body with a light amount of sediment floating around, a light amount of white foam, and leaves behind a bit of lacing on the glassware. Aroma: Notes of grassy hops, caramel, light amount of pine, fairly light. Taste: This is decently bitter with a moderate amount of piney and grassy hops. The hops hit the palate immediately yet diminishes just as quickly. There's a good deal of sweet caramel flavour popping up in every sip, and in the end leaves behind a bit of an earthiness for aftertaste. Overall Thoughts: I swear that this was more of a sweet, caramel brown ale in the past.. but apparently they change up the Harvest Ale every year. This is a solid IPA with a good deal of caramel sweetness, grassy hops and a bit of an unexpected piney bite. I'll definitely be buying this again.